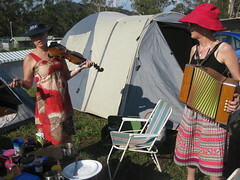 Melodeon with Accidentals? Make a PI Claim!!! Does Orange in Bloom go through to the play-off in february? Caring for a European community of melodeons from Italy, Germany, Wales and Suffolk! That doesn't make a lot of sense written down I know, but it kind of does if you can figure out what I mean. Anyway, quick answer... yes. I do like the idea of a 'theme of the month' running alongside 'tune of the month', rather like we did last month with the Christmas tunes... this would make a very nice theme. What do people think of a 'theme of the month' concept? Any thoughts of other themes we might consider? I would certainly second the idea of having a 'theme' running alongside the main TOTM - and O'Carolan, as above, is an excellent suggestion (eg the Draught and Concerto are certainly wonderful tunes - and just playing on the melody side, will present a challenge, and do them justice). This would give a lot more choice and scope in what is otherwise a good underlying cocept - it's just that I feel the current TOTM series has got rather stuck in a rut of somewhat hackneyed 'popular' tunes heard in sessions throughout England, which may tend to limit general appeal and inclusivity. Whereas, there are just so many great tunes out there, from all different traditions, etc. - which have been under-represented in the polls so far. Sounds like a great idea to me. I vote Morris tunes for May! So you reckon to have Trade Wind Hornpipe pretty slick by June, eh? There doesn't seem to be any genuine connection between hornpipes and sailors outside of operetta, but most have a nautical title. Certainly if you tried dancing a hornpipe on my boat you'd deserve it when you trip over the guardrails. Mind you, there isn't much connection between swimming and sailors either. The exception was a crew on one of the J class yachts (pre-war aristocracy) - a family of fishermen who were paid off once the boat was on the final leg and would jump ship and swim ashore, reducing the weight of the yacht. The racing rules now require the boat to start and finish with all crew aboard! Long ago I ran the first week of May evening at my University folk club as "anything you like as long is it has some connection (or reference) however vague to May". So that might work a a theme - it worked just champion the first time through. All the talk of custard in the other thread made me think....What about a food theme? I think a jig would be good for February, we've had 4/4 and 3/4 (I just noticed that Clive's LIDL abc was 9/8 , mine wasn't ) and I really must get to grips with a jig! I really must get to grips with a jig! This is a good one, The Tongs by the Fire. I hope Orange in Bloom will be there. Don't worry - it'll be on the next poll. Not sure what else will be on it yet though - have to have a little think. Added to the nominations list - thanks for the idea! Welsh tunes for a theme of the month, please. Shouldn't it be Welsh tunes in March?